Water quality monitoring system is a set of fully integrated system comprising hardware units and programs that are used to monitor multiple water quality parameters. It is a reliable analytical system developed for optimization of water quality. Regular water testing is essential for keeping water bodies safe from hazardous pollutants. This analysis measures temperature, macroinvertebrates, nitrates, phosphates, dissolved oxygen, pH, and other parameters. The quality of water resources has a direct effect on daily life. Polluted water is commonly discharged in large water bodies in the urban as well as rural areas owing to environmental degradation and heavy industrialization. This causes water contamination, which is hazardous to human life. According to the World Health Organization (WHO), at least 2 billion people drink contaminated water containing harmful pollutants. Thus, there is an urgent need to adopt water quality monitoring systems for analyzing and examining the water quality. The primary growth factors of the global water quality monitoring systems market include rise in water pollution due to industrialization, increase in prevalence of waterborne diseases, and surge in government obligations. The U.S. government established regulations and minimum standards such as the Clean Water Act (CWA) and Safe Drinking Water Act (SDWA), to protect water sources from contamination. This has fueled the demand for water quality monitoring system. However, high installation and maintenance costs are expected to restrain its growth in price-sensitive markets. Lack of awareness in rural places toward health and sanitation also impedes growth of the water quality monitoring systems market. New sensors, such as turbidity sensors, dissolved oxygen sensors, pH sensors, conductivity sensors, chlorine sensors, ORP sensors, and temperature sensors, are designed to analyze the water quality. Online Water Quality Monitoring (OWQM) sensors monitor the water distribution system and other analytical technologies. A concept called Chemcatcher was developed by a group of professors at the University of Portsmouth to monitor numerous water pollutants, and thereby, improve water quality. Incorporation of new technologies and innovative techniques are expected to boost the popularity & demand for water quality monitoring systems during the forecast period. The global water quality monitoring systems market is segmented based on component, application, and region. Based on component, the market is classified as pH sensors, DO sensors, temperature sensors, turbidity sensors, and others. 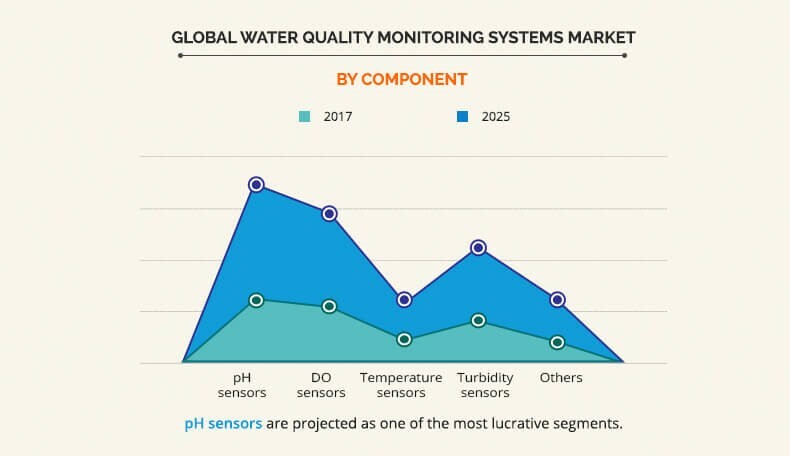 In terms of revenue, the pH segment accounted for $1,262.2 million of the global water quality monitoring systems market in 2018 and is projected to grow at a CAGR of 7.7 % during the forecast period. Based on application, the market is classified into utility, industrial, commercial, and residential. The residential segment is anticipated to grow at a CAGR of 8.3% during the forecast period. The report contain profiles of key players, such as Danaher Corporation, Evoqua Water Technologies, General Electric Company, Horiba, Ltd., OAKTON Instruments, Pentair, Shimadzu Corporation, Thermo Fisher Scientific, Inc., Uponor, and Xylem Inc. They have adopted product launch as their key strategy to expand their market foothold. 7.2. Evoqua Water Technologies Corp.
7.8. Thermo Fisher Scientific Inc.
Water quality monitoring systems monitor and analyze different parameters in water. Parameters that test water quality, such as measuring water temperature, pH, conductivity, dissolved oxygen, and calculations, are easily carried out with the help of these monitoring systems. New sensors technologies, such as the TOC analyzers and pH meters, help carry out these quality monitoring activities efficiently. 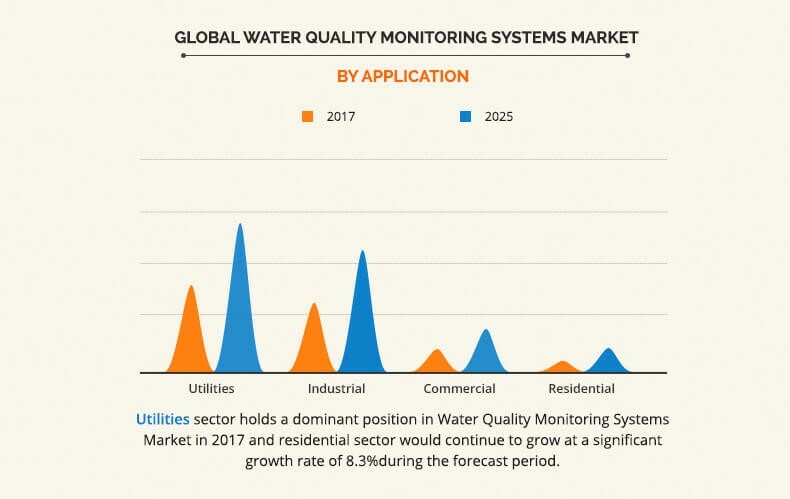 The global water quality monitoring systems market is expected to experience growth during the forecast period, owing to increased consumer awareness in the developing nations such as India, China, Brazil, and Mexico. Water-related laws and adaptation of a flexible system for regulating water quality have fueled the adoption of water quality monitoring systems. The production cost of sensors such as pH sensor has reduced, due to R&D and emergence of new technology-based wireless sensor network & solar power supply. This factor has helped water quality monitoring systems to reach out to the cost-sensitive markets in the Asia-Pacific region. North America is the highest contributor to the global water quality monitoring systems market in terms of revenue in 2018 and is expected to maintain its dominance during the forecast period, owing to use of modern technologies, presence of developed economies, and increase in manufacturing and industrial activities. 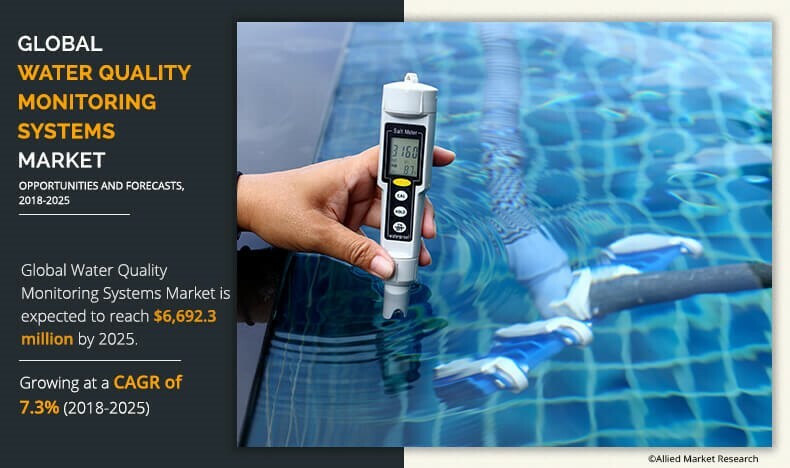 The key players operating in the global water quality monitoring systems market include Danaher Corporation, Evoqua Water Technologies, General Electric Company, Horiba, Ltd., OAKTON Instruments, Pentair, Shimadzu Corporation, Thermo Fisher Scientific, Inc., Uponor, and Xylem Inc. The market players have adopted product launch as their key developmental strategy to provide better products to meet customer demands. Acquisitions and partnerships are the other strategies adopted by the players to improve their offerings and boost their production processes. 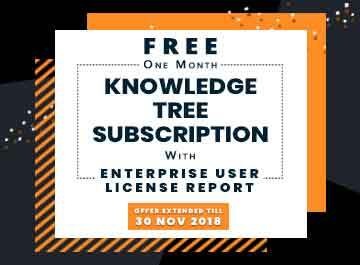 In addition, these strategies have helped companies to develop technologically advanced products and expand their market share across different geographies. "Water Quality Monitoring Systems Market"